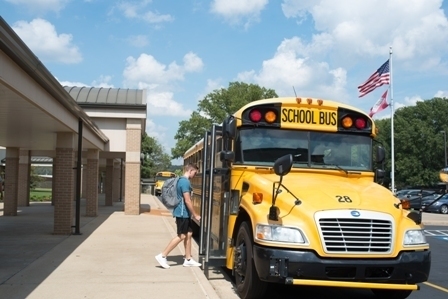 The Searcy Public Schools Transportation Department is looking for bus drivers. We will have half and full-time routes available for the 2019-2020 school year. Also, we need substitute bus drivers. The pay for contracted drivers with no experience is $46.16 per day or $8,898.00. (Salary schedule may be found on the district website at http://www.searcyschools.org/o/searcy-school-district/browse/1917 . We will provide training. You must purchase a CDL (Commercial Drivers License) packet from the revenue department that costs $50.00. You will be reimbursed that amount after you start driving. Drivers are required to have a physical upon obtaining their CDL and then every two years. You must also undergo a drug test and your name will be listed on a random drug test list. The district will pay for the physical and drug test. This would be a wonderful opportunity to help our kids by being a positive influence first in the morning and last thing in the afternoon. Our business is helping kids. You are welcome to come talk with us, even ride a few routes, or just watch our department's process. We look forward to hearing from you! Let's ROLL! !